Sapphire Utility Solutions offers a wide range of wastewater infrastructure services and to enable us to support our clients further, we have expanded our core services, to include capabilities such as reinstatement and specialist excavation services, manhole repair and rebuilds and repair and maintenance. 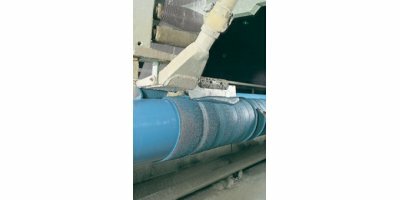 Pipes with MAPEC coatings can be additionally protected with different fibrous cement mortar (FCM) coatings in accordance with DVGW Worksheet GW 340. Originally developed for protection against mechanical damage, FCM coating is now available in diverse variants for trenchless pipe laying or as ballast coating with an extra thick coating layer. By Salzgitter Mannesmann Line Pipe based in Siegen, GERMANY. 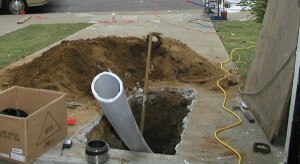 Underground Utilities-Rehabilitation & New Construction. Boyer offers a wide range of underground utility work which includes: Potable and raw water lines. Sanitary sewers. Storm drainage. Pipelines. Specialty process piping. Electrical and communication duct banks. By Boyer, Inc. based in Houston, TEXAS (USA). By United Kingdom Society for Trenchless Technology (UKSTT) based in Kenilworth, UNITED KINGDOM. By Psomas based in Los Angeles, CALIFORNIA (USA). Over our 20 year history, XCG has offered innovative, sustainable and practical solutions to help municipalities make informed decisions on the planning, assessment, design, and operation of their linear and facility water, wastewater and stormwater infrastructure. By XCG Consultants Ltd. based in Oakville, ONTARIO (CANADA). By J. Fletcher Creamer & Son, Inc. based in Hackensack, NEW JERSEY (USA). By DownStream Services, Inc. based in Escondido, CALIFORNIA (USA). By Akkerman Inc. based in Brownsdale, MINNESOTA (USA). By Donohue & Associates, Inc. based in Champaign, ILLINOIS (USA). By SPT Plumbing based in Sarasota, FLORIDA (USA). Our Pipeline Contractor Services Include Pipebursting. Pipebursting is a trenchless method of replacing existing underground pipelines, such as the water, sewer, or natural gas pipes. This method can be used when the original pipeline burst while new pipe is being simultaneously pulled into place.